Grantmaking entities, including: private foundations, community foundations, corporate giving programs, United Way organizations, donor advised funds and giving circles. Current staff, donors and/or trustees of eligible institutions may join under this category. Non-grantmaking nonprofit organizations with 501 (c) (3) statuses from the IRS including: educational institutions, civic and fraternal organizations, faith institutions and other public charities. Current staff, trustees or donors (proof of donation required) of eligible organizations may join under this category. Any firm, corporation or other business organization that provides professional services (ex. advisory, consulting or management) to foundations and is interested in the objectives of ABFE. General Consulting Firms/Search Firms, etc. To join or renew by credit card, click here. 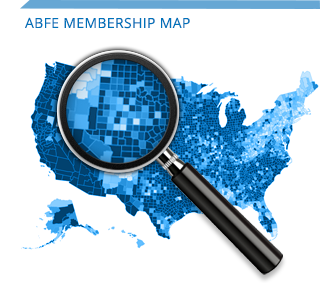 If you would like to pay by check, have any questions or would like more information regarding ABFE membership, please contact Evelyn Rivera, Director of Membership and Special Events, at (646) 392-9868 or erivera@abfe.org. A crowdfunding campaign to help repair a group of historically black churches in Louisiana affected by a string of fires has raised more than $500,000 within a week. #LetMeVent Black Swan AcademyOur youngest youth leaders know the connection between school, mental health services and the violence they are experiencing in their communities. "Mental health and wellness is a serious issue #LetMeVent Please pay more attention to little things that can harm us #letmevent. I’ve seen people have mental health issues and bring those problems to school and it turns into violence." We must increase the number of mental health professionals in schools and within the community and fund additional supports to schools to support a trauma informed and social/ emotional supportive environment. ABFE added 2 new photos. The Go-Go music at a Metro PCS store in D.C.'s Shaw neighborhood is back on its speakers after growing neighborhood backlash prompted the company's CEO to intervene.